Incorporating a blend of rich analog and modular electronics along with digital synthesizers, plus piano and guitar, Of Those Things Left Unsaid evolved over the course of thirteen years' creation. Composed and recorded by Dave Fulton, with contributions from Jamie Haggerty and Giles Reaves, a completely organic approach to recording was taken, using a variety of vintage electronic synthesizers and early 8 & 12 bit samplers. While much modern electronic music is primarily sequence-driven and quantized to a degree that renders the music more robotic than human, Fulton tried to use computers only as recording the performances, not driving them. Perhaps Fulton's most emotive and personal work, Of Those Things Left Unsaid should not only appeal to existing fans of Fulton's earlier solo and collaborative works, but also those listeners seeking a blend of retro and modern electronic sounds with a smooth musicality. 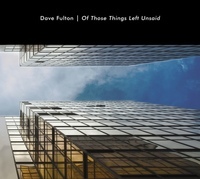 "Dave Fulton's latest sonic collection is pure lush, analog goodness. Moody, blissed-out synths weave, stereo-pan and bubble through serene, haunting soundscapes. The perfect emotive-yet-chill soundtrack for driving, meditation, running along the Coast on a cold, rainy morning or working on that unsolved murder mystery in the dead of night." "The album is comprised of eight tracks, divided into two sound cycles that literally melt into one long electronic tone poem. Sonically it overflows with sequences of varying timbre and vibration, layers of dark melodic intensity and powerful pulsing undulations. The album commences with "Dread Not," a pulsing beat overlaid with a wash of layered synthetic melodies. That segues directly into "Inverse Fields,"" a pastiche of counterpoint between sonic seasonings, effects and celestial harmonics layered over the top creating a Sci-Fi soundscape that picks up steam as it morphs into "Particles Lost" featuring running sequences of classic era Teutonic origin. Side 1 concludes with "Of That Death, This Is Said" a percolating mélange of multi-melodies, undulating pulsations, synthetic exotica and deep sequential riffs ending with a fade out of high-end frequencies. In fact, a literal transcription does little justice to the music. It offers far more emotional impact if you simply listen and free flow with the sound. As he explained it to me, the album was an act of personal, emotional cleansing of sorts, as the title states ... Of Those Things Left Unsaid. Nowhere is that more evident than in the music of Side 2, which features the albums extended four-part title tone poem. It begins with a prelude featuring a slow, beautiful, piano theme that transforms into a dense drone with high-pitched frequency oscillations fading into a somber dirge followed by a more powerful melodic piece with up-tempo rhythms layered with overlapping melodies. The albums climatic final piece, the title track, begins with deep powerful synthetic surges transforming into counter melodies, at times fragile, then alternately soaring and uplifting, the track and album ultimately fading out in a wash of droning white noise. Sonically the final track serves to illustrates the emotional difficulty of starting over again, moving forward into an uncertain future and leaving the past forever behind you. 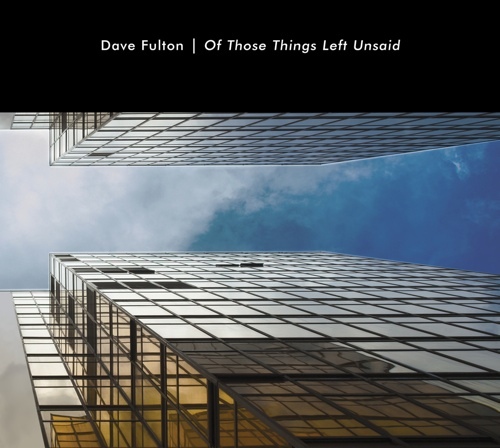 With this album, Dave Fulton has created a highly personal chronicle of his emotional landscape over the past decade, in sound. He has also created a universal statement that everyone can relate to about the transient nature of life today, as we know it now. He uses the most powerful mode of communication there is -- music. Electronic music is often criticized as soulless, mechanical and devoid of emotion. Of Those Things left Unsaid proves that completely wrong."